يقع في City Center, Motel On York إنه المكان الأنسب لاكتشاف دوندين و ما يحيطها. يمكن من هنا للضيوف الاستمتاع بسهولة الوصول إلى كل ما تقدمه هذه المدينة النابضة بالحياة. يشكل هذا الفندق ملاذاَ مريحاً للاسترخاء ويمنح زواره فرصة للاستجمام والتجدد، وهو يقع على بعد خطوات من المعالم السياحية الكثيرة للمدينة كمثل: ميترو ستما, فورتون, ‪St. Paul's Cathedral‬. يقدم Motel On York خدمات لا غبار عليها وكل أشكال اللياقة وحسن الضيافة اللازمة لإسعاد ضيوفه. يمكن للنزلاء الاستمتاع بالميزات التالية: مرافق مخصصة لذوي الاحتياجات الخاصة, واي فاي في المناطق العامة, صف السيارات, جولات, خدمة غسيل الملابس أثناء إقامتهم في هذا المكان الرائع. ادخل إلى واحدة من الغرف 24 وتخلص من عناء نهار طويل بمساعدة مجموعة كبيرة من الخدمات كمثل تلفزيون بشاشة مسطحة, اتصال لاسلكي بشبكة الإنترنت (مجاني), حوض الاسترخاء, غرف لغير المدخنين, تدفئة الموجودة في بعض الغرف. يقدم الفندق خدمات رائعة كمثل مسار جولف - ضمن 3 كم, حديقة لمساعدتك على الاسترخاء بعد نهار طويل من النشاط والتجوال في المدينة. يشكل Motel On York بخدماته الراقية وموقعه الممتاز، قاعدة مثالية للاستمتاع بإقامتك في دوندين. Very spacious room and heated floor in bathroom. Good kitchen facilities too. Comfortable bed. TV could have been larger however free DVD’s we’re enjoyed. Main negative for our 3rd floor room was the stairs. Lift would have been welcome. Very very clean room. Linen and towels are bright white. Staff are friendly and helpful. Kitchen ware are clean and shiny. Self laundry services are also available. 5 star rating awarded. I enjoyed to stay there as there was everything in the vicinity and I could simply forget my car! Nicer place then expected. Easy access to town. Was there to see the lil blue penguins at night and this provided a place to get a great sleep afterwards before heading onto Dunedin. Place looked and felt new, clean, everything where it should be. Only concern if you are a light sleeper try to request a unit that does not back to the main road. There was construction going on right outside on the road that made more noise then would have otherwise occurred, I slept fine, wife not so much. As I said, the back is to the road so isn't bad, just request as you wish. I would not hesitate to return. Owner was very helpful and knowledgeable about the area. The town really surprised me in what it had to offer and how awesome the architecture was. The team of Lindsay and Kate at the front desk we extremely helpful. Can't say enough about they went out of their way to make you feel comfy and give the lowdown on local attractions. Everything was just perfect - the attention to detail was sublime. The room was completely immaculate - a cleaner place you will not find. Staff were lovely. Room itself was awesome, comfortable bed, spacious bathroom and good shower. I had a lovely stay here and highly recommend the Motel on York. Great welcome by staff. Very helpful throughout stay. Hotel is just 5 minutes walk to most amenities in the town. We had a car and parking but could walk to restaurants, movies and shopping easily. Room was spacious, clean and we enjoyed our stay. Enjoyed our stay. Would stay again. Excellent location within easy walking distance of the city centre and all the sights. The managers were friendly and always on hand to help out. The room was larger than most with a modern bathroom and underfloor heating if required! It was very clean and newly decorated. We would definitely return and would recommend to friends. 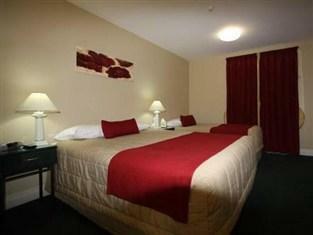 Motel on York was a very good place to stay within easy reach of the very centre of Dunedin. 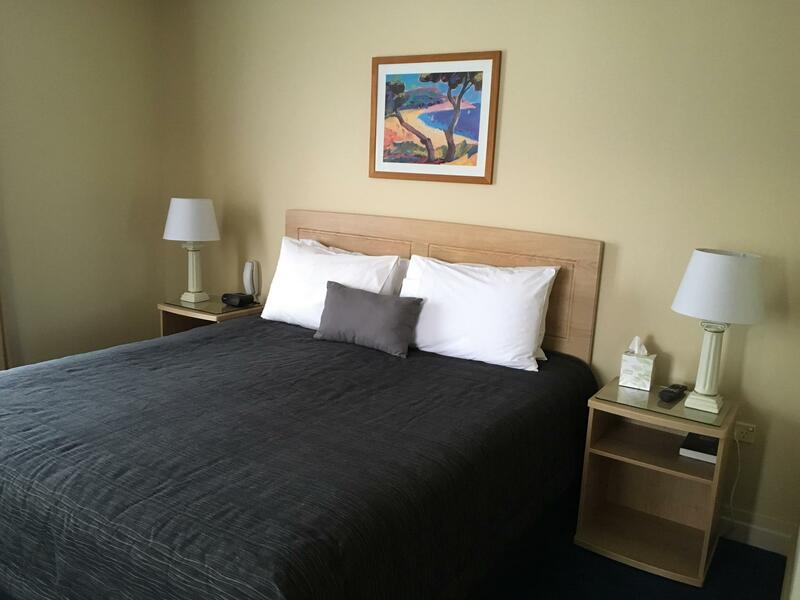 Well equipped, comfortable and clean with friendly and helpful staff. Our room had a nice view across the city. Highly recommended. just surprised there was no shampoo and conditioner provided, otherwise excellent place to stay. When in Dunedin we choose to stay at Motel on York. 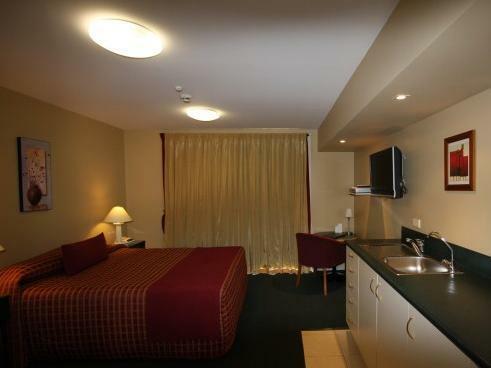 It is ideally situated a block from downtown and an easy level walk (unusual for hilly Dunedin ) to Forsyth Barr Stadium. Stayed only 1 night here. The person at reception was helpful when we asked for restaurant recommendations and places to visit. The room and bed was really comfortable and the bathroom was lovely. It is centrally located and plenty of parking. We really enjoyed our stay. The kids loved the Jacuzzi bath and had a good time. Location is also very convenient for getting in and out of town.